We all put a lot of pressure on ourselves in the new year. The relaxed festive feeling of Christmas is long gone, but the signs of over-indulging are not. We are all obsessed with the concept of it being a new year and so we must change an aspect of our lives to adapt to the change. But how many people action their plans and aspirations for the new year, then slowly as they don't get the results they want slip back into their 2017 ways again. Much like getting a Personal Trainer motivating you to get into shape, recruiters are there to guide, coach and motivate you in your search for you next new role. Having the support of an individual who knows the market and can advise you and make you achieve your new year goal is invaluable. Looking for a new role is stressful and time consuming, when it should be a happy and exciting time for you. Let recruiters do the leg work for you and keep your ambition going. If you have never considered using a recruiter before, now is the perfect time if you are serious about making a difference for 2018. 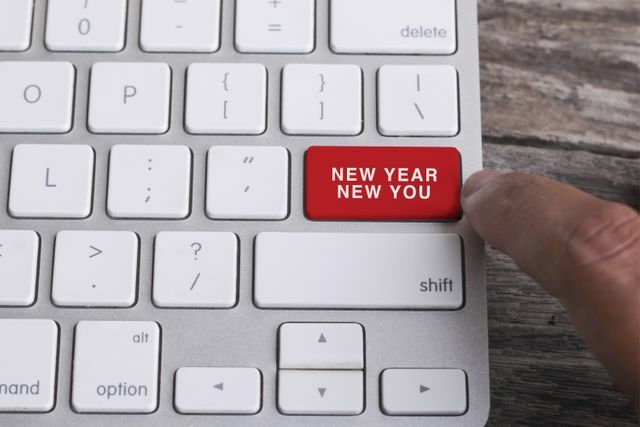 When it comes to ‘new year, new me’ most people look to things in their personal life that they want to change – weight, smoking, finances. But with the average person spending 90,000 hours in work over their lifetime, surely it makes sense to be spending that time in a career you enjoy. And, of course, a positive change to your professional life can bring a boost to your health, wealth and happiness.